President-elect Shelly Missall’s speech to the 80-plus attendees at this year’s Legacy of Leadership Celebration in Wausau, in tandem with Executive Director Sarah Schlosser’s presentation, addressed the why and how of coming changes. At the request of several Board members and others in attendance, we’re reprinting her speech here, along with key graphics from Sarah’s presentation. I am honored to be a part of an organization that has had such a significant impact on so many lives over the decades, and I look to the future of Leadership Wisconsin with true excitement! I’m excited and committed to our mission because there has never been a greater need for more leaders in Wisconsin. We do face challenges, largely because the landscape has changed over the past 35 years, and what leaders want from a leadership development program has changed as well. Perhaps the largest change we have to consider in our strategic planning comes from our own success! Largely thanks to the work of Leadership Wisconsin, local leadership programs have grown up throughout Wisconsin, including Eau Claire, Fond du Lac, Green Bay, Madison, Shawano, Sheboygan, and Wausau. These city-level programs offer experiences similar to our traditional “signature program,” with the added benefit of being community-specific. The city-level programs are also a shorter time commitment and they are more affordable. Furthermore, in today’s digital era, both local and global contexts change so quickly that the 2-year time commitment required by our signature program has become too lengthy for too many Wisconsin leaders, emerging leaders, and employers. Another major change we must grapple with is the fact that funding cuts have impacted a number of our partnering organizations, especially the University of Wisconsin; and, it is much more difficult in today’s economy for individuals to cover the $7,500 tuition. These combined changes have reduced the appeal of our signature program for today’s emerging leaders. If we step back, however, we can see that all of these changes in the landscape also create a unique opportunity for Leadership Wisconsin to rethink, refresh, and reinvigorate its mission, and reclaim its place as the state’s premier leadership program. In doing so, we will play a significant role in closing the current leadership gap in Wisconsin. The changes on the horizon for Leadership Wisconsin will allow us to bring more leadership development opportunities to a much larger number of citizens across the state; and, for organizations to engage in dynamic and timely leadership training experiences that will prepare them to meet the ever-evolving needs of communities across the state, the country and even the world. As I was thinking about speaking to you today, and as I considered Leadership Wisconsin’s decision to take note of the disruption in leadership development programming and reinvent itself, I was reminded of two companies faced with a changing landscape in their sectors. Both are organizations we are familiar with that were challenged by disruption in their industry, and both were forced to try to find ways to change and remain relevant. The first of these two organizations is Blockbuster. In the early 2000’s, Blockbuster was faced with serious industry disruption, mainly in the form of Netflix. In Blockbuster’s case, there were two elements in play: the product and the distribution or delivery method. Blockbuster remained committed to their brick-and-mortar model of delivery, even expanding their physical stores to sell more merchandise. By the time Blockbuster realized their method of distribution was fatally outdated, it was too late. Innovation had passed them by, and bankruptcy soon followed. The second organization I thought about is IBM. After successfully re-inventing from typewriters to PCs in the early 90s, IBM dominated the market by putting together hardware acquired from multiple manufacturers rather than building everything themselves. While this strategy propelled them beyond Apple (which was manufacturing every component of their machines), it was also a highly replicable business model. Soon the market was saturated with companies providing essentially the same product and customer experience, often at cheaper prices. Faced with billions of dollars in losses, IBM chose to step away from the business model it had pioneered and reinvented itself as an IT company. Eventually, they climbed to their current spot as the worldwide leader in enterprise server solutions. Unlike Blockbuster, Leadership Wisconsin has made the courageous decision to acknowledge our distribution model of leadership development has been disrupted and become outdated. We are, instead, following IBM’s example to pivot into new spaces where we can combine our expertise with innovation in a multi-program leadership development model. 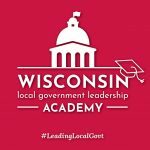 This multi-program approach will allow Leadership Wisconsin to offer a menu of leadership development programming that constantly evolves with the needs of Wisconsin communities, businesses and emerging leaders. This model of programming can be both focused and flexible; and it will allow for innovation and collaboration as we deliver valuable leadership programming in unique and targeted ways for a variety of audiences. In this new model, Leadership Wisconsin will pilot new programming as it is developed. Programs with proven success will shift from pilots to regularly offered core programming. Those core programs will be evaluated continuously to identify any needed changes to the curriculum; or, to inform us when a program has run its course and should be discontinued. In addition, this adaptive, flexible programming model will allow Leadership Wisconsin to more easily and efficiently customize approaches to respond to the needs of local communities. This will allow us to be more nimble in meeting Wisconsin leaders’ needs, and it will allow us to greatly expand the number of Wisconsin leaders served each year, from every part of the state. Now, rather than helping to develop some 30 leaders every two years, Leadership Wisconsin will help to close Wisconsin’s leadership gap by finding ways to grow hundreds of leaders every year over the next 30 years. As we considered the future, we have prioritized shaping Leadership Wisconsin to ensure longevity. This has required a set of internal organizational changes. Primarily, this means changes to how staff positions are managed, and changes around how certain elements of the Board’s administrative functions are carried out and includes the creation of a new standing committee system, and the addition of new Board positions. While some of this restructuring came in response to new University “best practices” guidelines for managing its relationships with partner nonprofit organizations, the Leadership Wisconsin Board has taken this opportunity to re-align its internal governance functions in ways that will help ensure a sustainable operation over the long term. The new internal operating model is also now in alignment with the vision of a relevant, timely and adaptive multi-program model. With all this talk of change, I feel it is important to note that there are some things that won’t be changing. Leadership Wisconsin remains committed to our mission to develop leaders to strengthen Wisconsin. Leadership Wisconsin is also steadfast in maintaining our relationship and connection with University of Wisconsin Cooperative Extension. Finally, we will continue to cultivate leadership skills that are uniquely tailored to meet the evolving needs of the public, private and non-profit sectors in Wisconsin. These constants have comprised the foundation upon which Leadership Wisconsin was built in 1983 and will remain intact as the organization grows and evolves. As we move Leadership Wisconsin forward, we are interested in hearing your thoughts on our new direction. We have created an online form for you to share that information. You can find the form on our Facebook page, or access though this link. If you have feedback, positive or constructive, please share that with us! We truly value your opinions throughout this process and want your partnership in shaping Wisconsin’s emerging leaders. Thank you – I looking forward to hearing from you! Following Shelly’s address, Executive Director Sarah Schlosser gave a presentation showing the new directions and pilot programs being explored. As Shelly discussed, we have been engaging in a deliberative, thoughtful and thorough strategic planning process over the past year. Shelly spoke about the reasons why change is happening; I’m going to talk about the ways in which we will accomplish our shared goal of “Strengthening Wisconsin, Developing Leaders” through these changes. We are looking for emerging issues and unmet needs. We are seeking out new partnerships and pockets of influence. And, we are considering how we can be on the leading edge, through research and thought leadership. I’d like to share a few examples of issues, spaces, and audiences we are exploring. One path we’re exploring is connecting the expertise of other disciplines with our deep knowledge of leadership development. 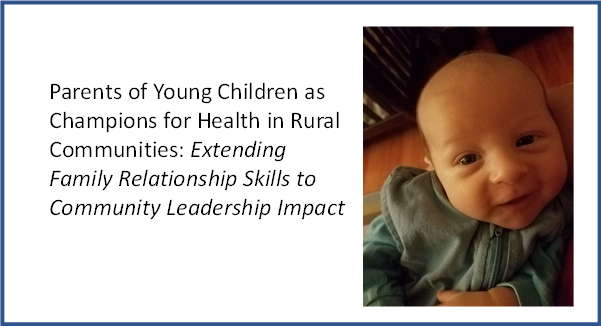 Right now, we’re looking at ways to connect the work of Cooperative Extension research on parenting and wellness with leadership development training that will give parents tools to find their voice and shape community policy. This kind of partnership has the potential to empower parents to improve their communities and have a positive impact on their families. We are also looking to build partnerships that will generate new opportunities for our alumni and other leaders in the state at the national and international levels. One example is the Wisconsin Agricultural Leaders Going Global initiative. 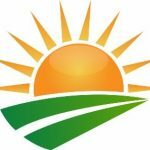 Mary Hookham(XVII), Secretary Sheila Harsdorf (I) and several other Leadership Wisconsin alumni – Daphne Holterman (III), Norm Monsen (VII) and Jim Holte (VI) – are working on this exciting opportunity for Wisconsin agricultural leaders. 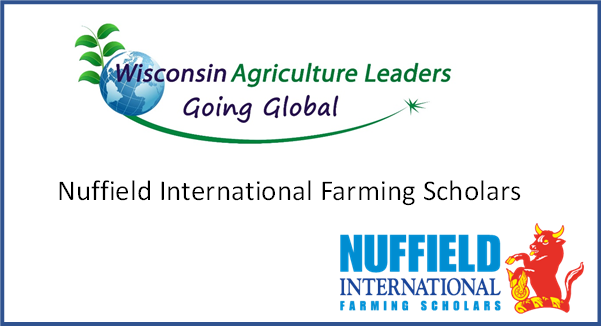 Using our networks, we want to encourage as many Wisconsin leaders as possible to apply to become Nuffield International Farming Scholars. This is a great way to strengthen our leaders’ global connections, and bring innovative solutions and critical networks back home that will provide new opportunities and strengths for Wisconsin agriculture. We are also expanding our partnerships with other organizations to deliver effective leadership development experiences. For example, for their last two program cycles, we have facilitated the orientation session for the Wisconsin Cranberry Growers Association Leadership Program, thanks to a connection made by Leadership Wisconsin alumna Nodji Van Wychen (II). Finally, we are looking at specific groups and networks of leaders who need ongoing leadership development programming, and finding new ways to tailor our efforts to meet their unique needs. 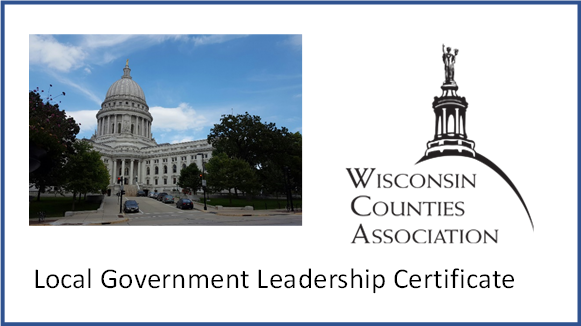 One example is our partnership with the Wisconsin Counties Association to launch a Local Government Leadership Certificate. As we move forward with these explorations and other initiatives, we are keeping in mind the things alumni have told us they value most, and the things that we have historically done uniquely well: an issues-based approach to developing leaders; creation of unique experiences, including travel seminars that take Wisconsin leaders to different places to learn about issues, solutions, and leadership; and, a cohort/peer approach to learning. Amplify their effectiveness through exposure to new ideas, places, perspectives and cultures, that help them lead in a dynamic and diverse world. We invite and encourage everyone to be an active part of this bright future! Please engage as a partner/co-creator with the Leadership Wisconsin board and staff as we explore new pathways; participate in new learning opportunities; and, serve as an ambassador, spreading the word about the exciting ways in which Leadership Wisconsin, in partnership with Cooperative Extension, is Strengthening Wisconsin and Developing Leaders.